You will need to pay all tolls, entrance fees, and parking costs, either out of a travel advance or by requesting a reimbursement from your department budget. As the driver of a rental vehicle, you’re responsible for any speeding and parking violations while you have the vehicle. The Voyager credit card issued with each vehicle can be used to purchase standard, unleaded fuel. Premium fuel is not authorized. The card can only be used at the pump. You may not use the Voyager credit card to refuel private vehicles. 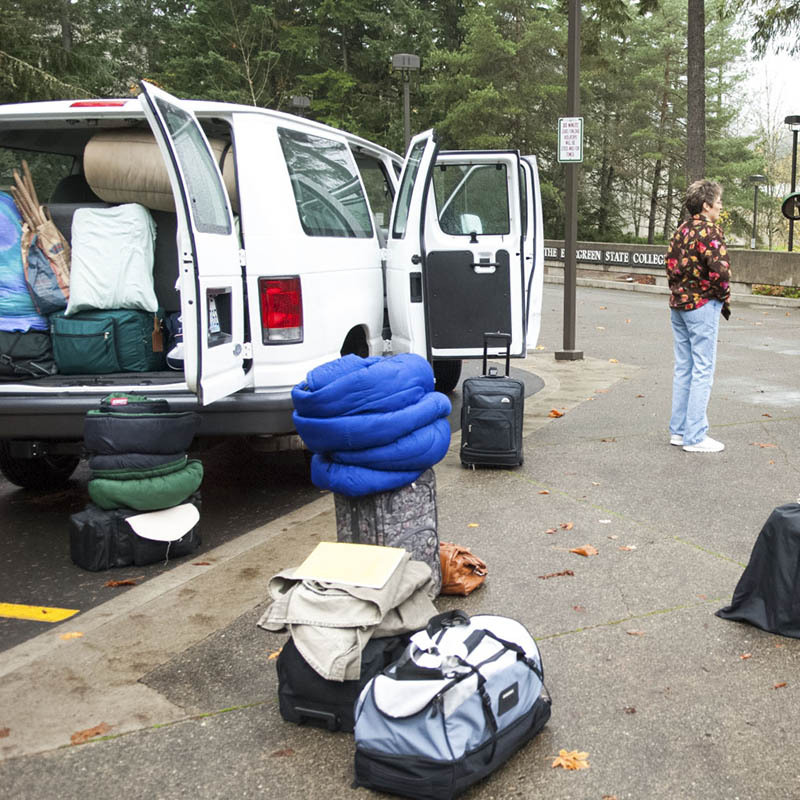 You do not need to get gas for an Evergreen vehicle before you return it. If towing and repair charges result from a vehicle breakdown, contact Fleet Rescue service for roadside assistance. The 1-800 number is on a decal on the driver's side window. For repairs estimated to cost more than $300, you must obtain prior authorization from the Motor Pool office at (360) 867-6354. If our office is closed, please contact Police Services at (360) 867-6832. The Motor Pool will reimburse you for any repair or fuel costs paid with cash, check, or personal credit card. Just be sure to submit an original receipt.